A few months ago I stumbled upon a gorgeous lady called Jess on Facebook who runs her beautiful handmade crafts business Harriet Rose from home. This very busy lady (who is currently expecting a lovely baby and still working like a trojan!) 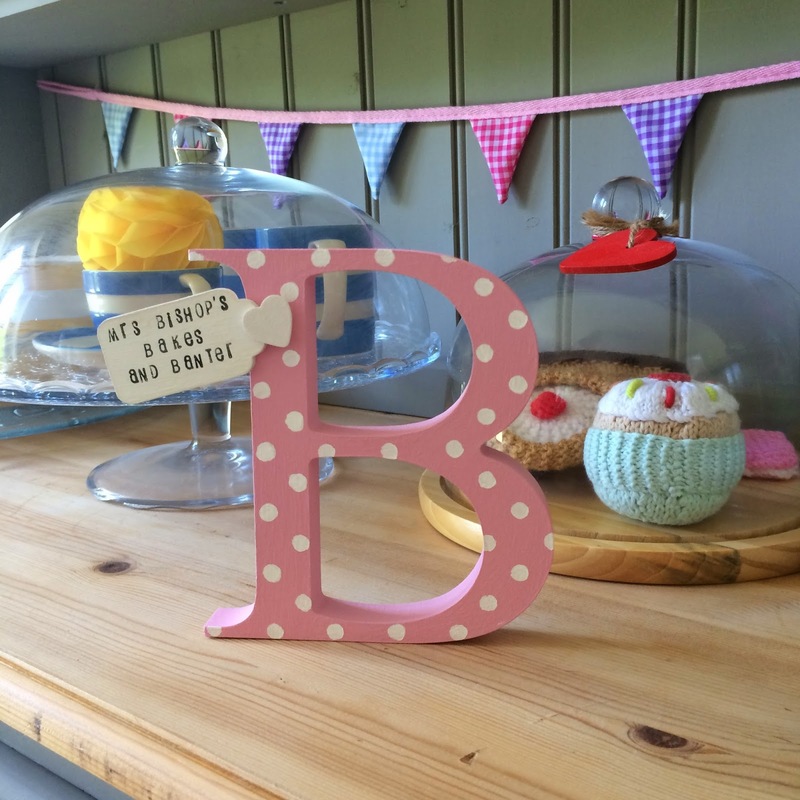 makes the most beautiful fabric covered letters - which would make the perfect accessory for any home or a fab gift for a loved one. 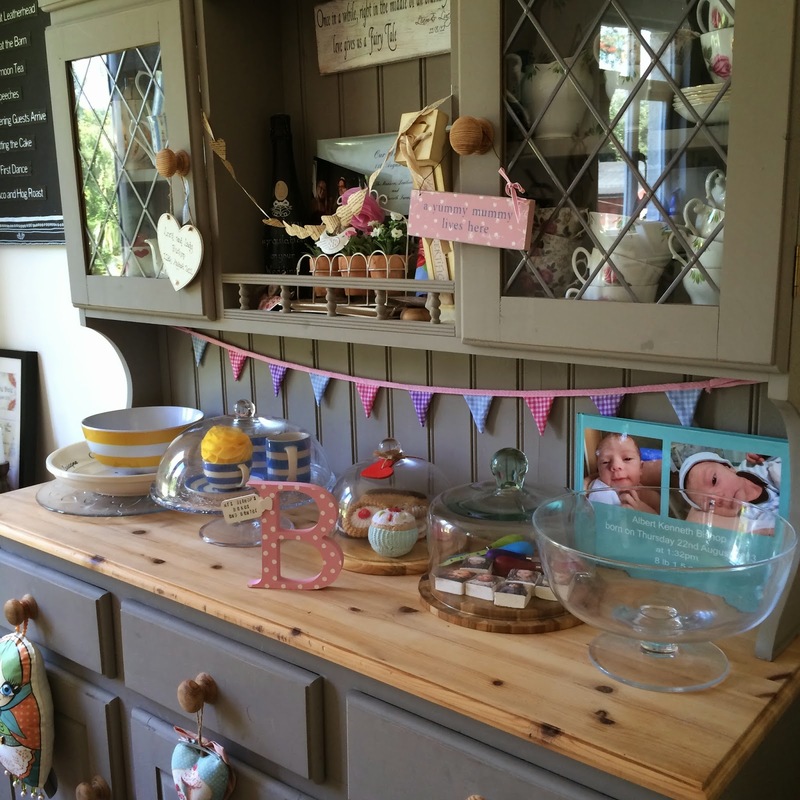 She also makes wooden bunting, tassel garlands and lots more lovely things. Jess kindly sent me some of her gorgeous products for my own home, and I'm so excited to be able to share them with you today. 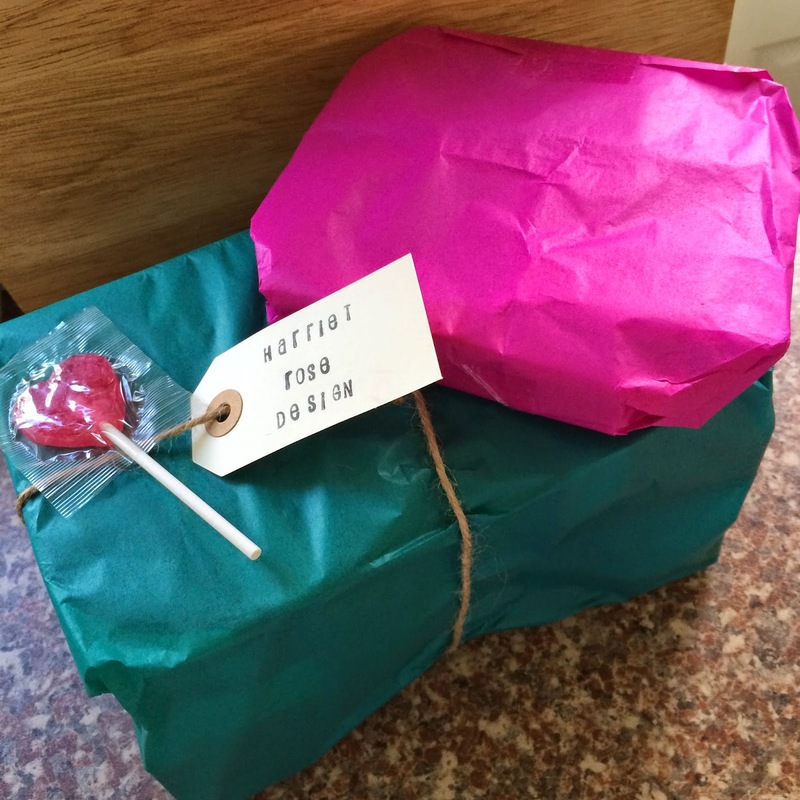 My items came wrapped beautifully and I even got a yummy lollipop to enjoy while deciding where my lovely new items were going to live - thanks Jess! T'ah d'ah! 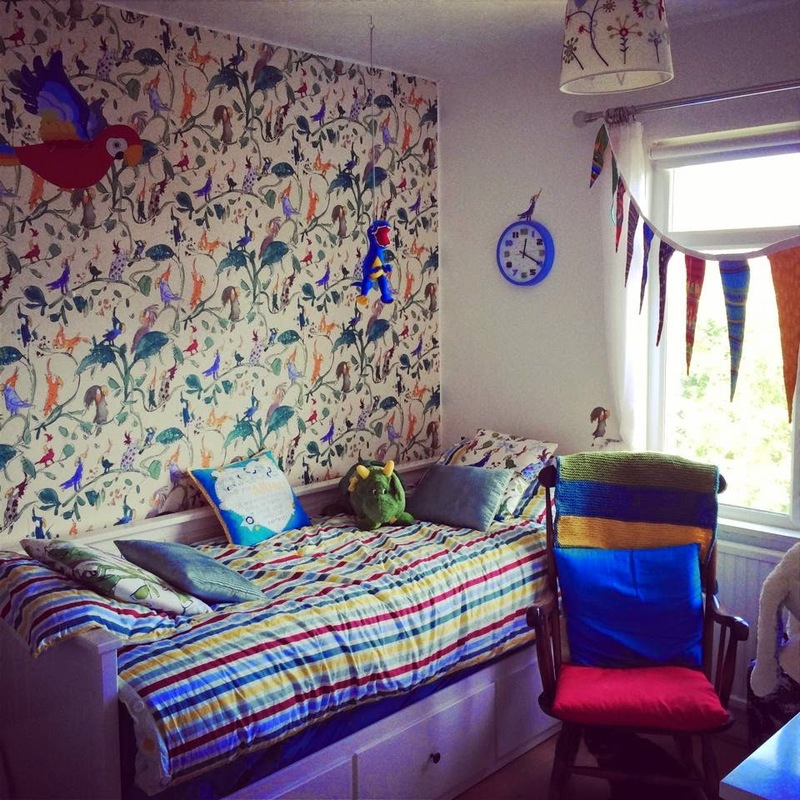 I still love the little cockatoos perching on the shelves which I lovingly cut out of the wallpaper when I was about 8 months pregnant, and pasted on to the wall - they're hiding all over the bare walls - one sitting on the clock, the skirting board, the curtain pole etc! Sweet! 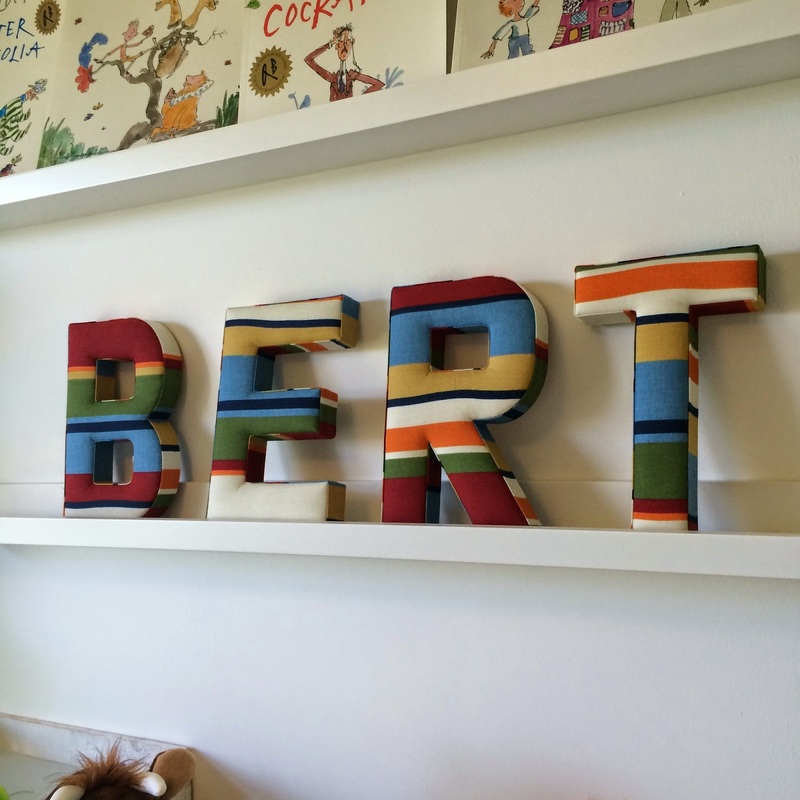 Albert's Nursery - Quentin Blake wallpaper and Emma Bridgewater stripes on the day bed - now with the lovely addition of Harriet Rose letters - just fab! I cannot tell you in words what fantastic quality these beautiful letters are - the finish is incredible, and I will treasure them for always. Jess has managed to match them to the room in question perfectly, and I love how fun and quirky they are! 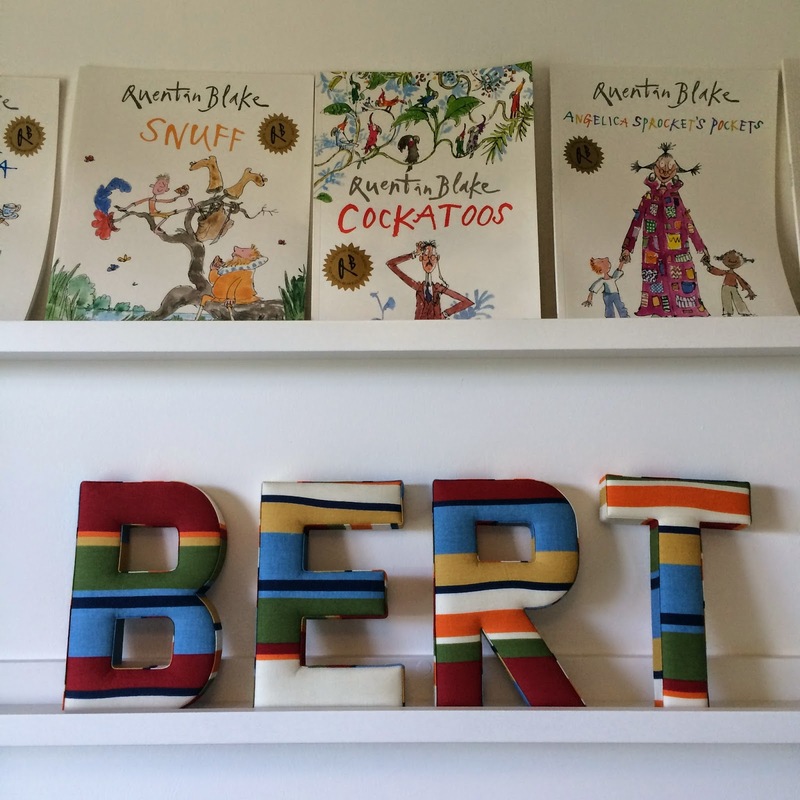 Jess charges £5 for each small fabric letter (10cm) and £7.50 per letter for the large fabric letters (20.5cm) = BERT would have cost £30 plus p&p. This is such an amazing price for the work that goes into making these beautiful items, and is a small price to pay for something so personal, quirky and finished to such a high standard. Jess also sent me one of her beautiful wooden letters - this time as a gift for me instead of Bert (Mummy likes to be spoilt too!) 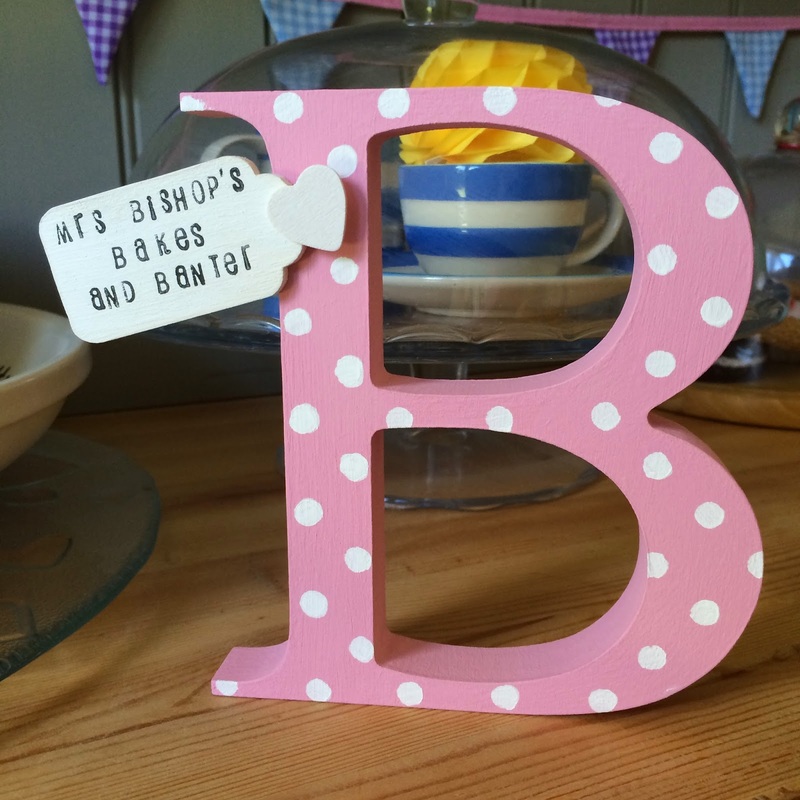 I'm now the proud owner of a 'B' for Bishop with a wooden tag attached which reads 'Mrs Bishop's Bakes and Banter'…it will be a stunning accessory for my blog photographs and fits into my shabby-chic/French country style dining room perfectly. I can't wait to use it when I photograph some of my bakes! Pride of place on my dresser! 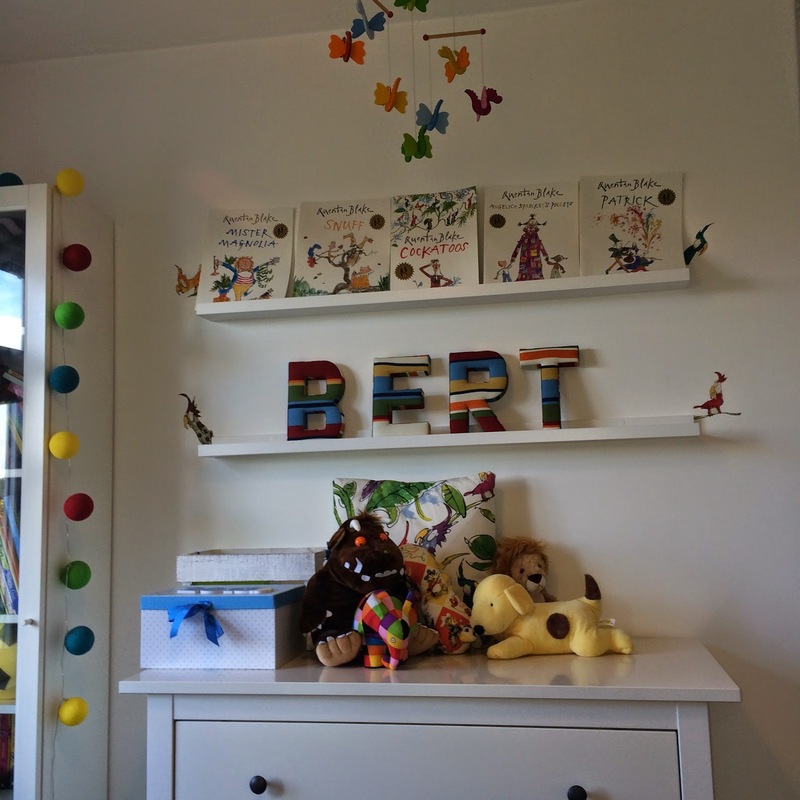 The wooden letters sell for £8.50 each, plus p&p. Another really reasonable price for something so beautiful. Everyone who has visited me since owning these new beauties have commented on how fabulous they are, and I'm already planning who I can buy some for…! Head over to the Harriet Rose Facebook page and place your orders with lovely Jess. Alternatively you can email her at harrietrosedesign@hotmail.com - she'll happily talk to you about custom order ideas, and she has an awesome stash of stunning fabrics to choose from. Thanks Jess for sending us such wonderful gifts! 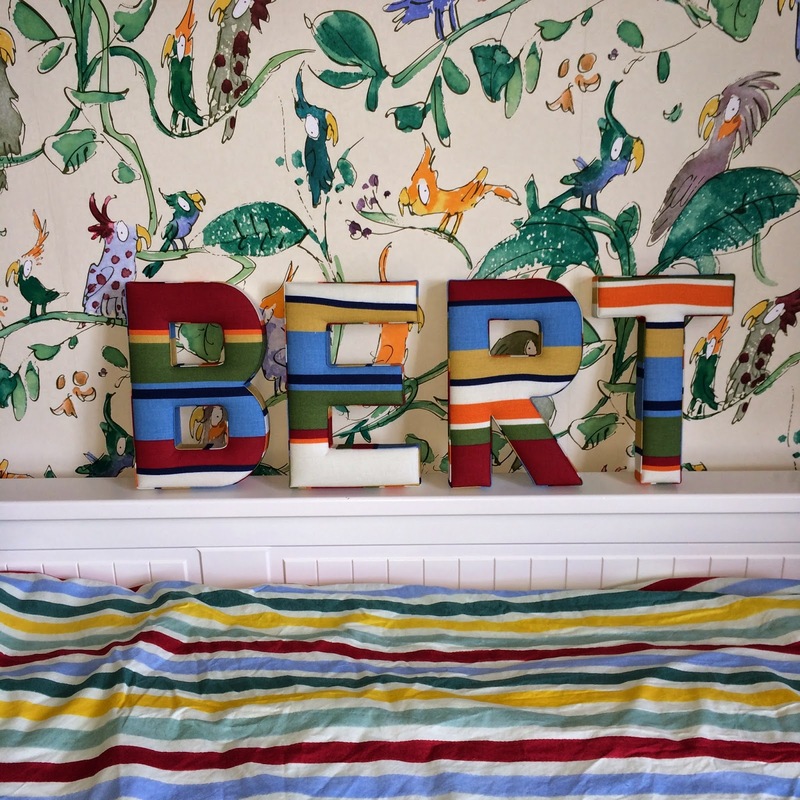 Disclaimer: We were sent the beautiful BERT large fabric letters, and wooden 'B' letter for the purpose of this review, all words, opinions and images are my own. 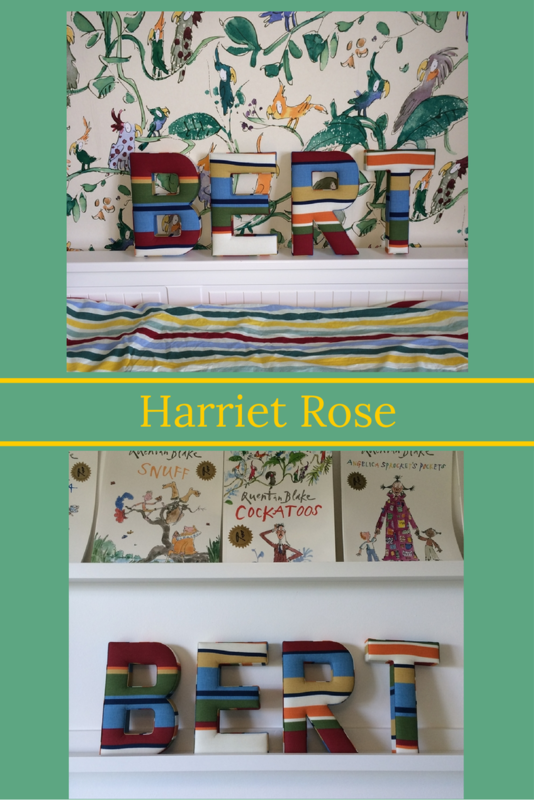 Harriet Rose Is a scam artist... She has taken over £60 of our money for fabric letters and done a runner... Shut down her Facebook page, and will not respond to any messages. AVOID !!!! Please avoid Harriet rose at all costs!!! She took £60 from my daughter to make letters of a name. She kept making excuses why item was never received. She then blocked my daughter from Facebook and closed down her page. She is a complete con artist!! !